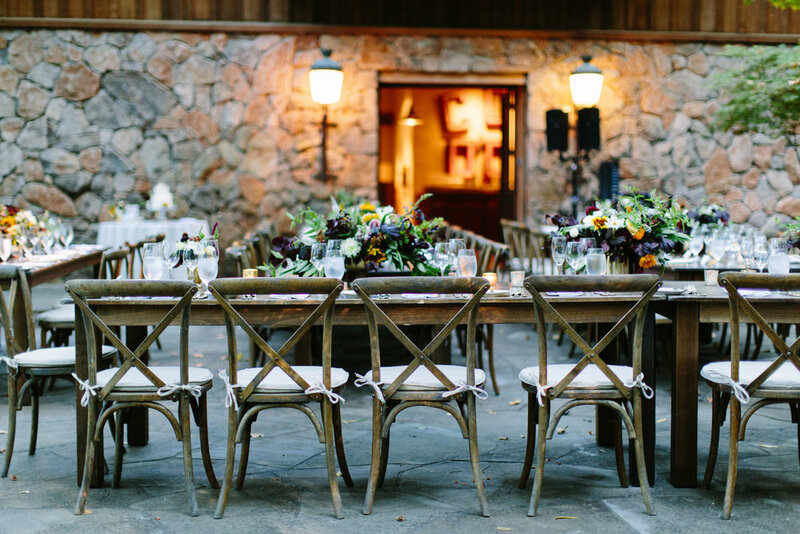 This gorgeous late summer wedding took place in Kenwood, California. 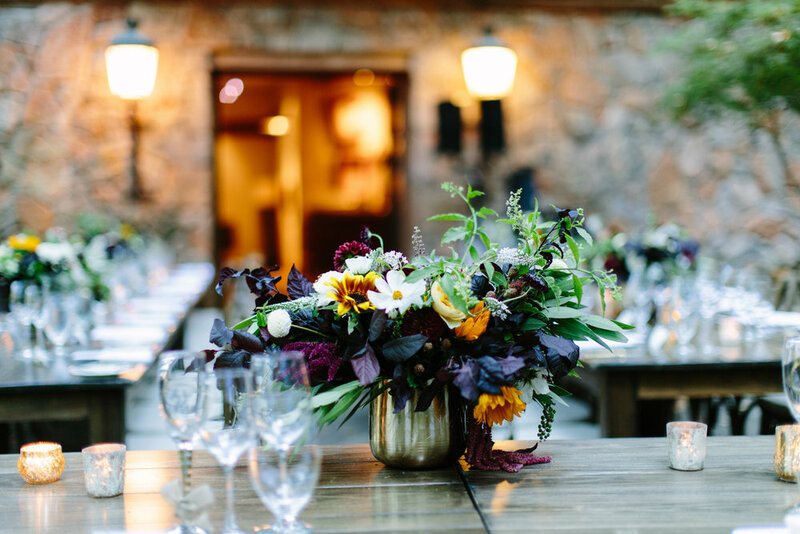 This Sonoma County wedding featured sunflowers and shades of burgundy, white and yellow. Kara and Jim held an intimate destination wedding at a private residence in Kenwood, California. It's a beautiful property called Sonoma Luxury Ranch, situated on a large property that is often rented out for an entire weekend of fun. The ceremony was held atop a beautiful hillside with a backdrop of the vineyard valley below. The reception took place on a beautiful stone patio near the home and nestled among the trees. It felt like a secret garden, shaded from the warmth of the summer heat and protected from the outside. 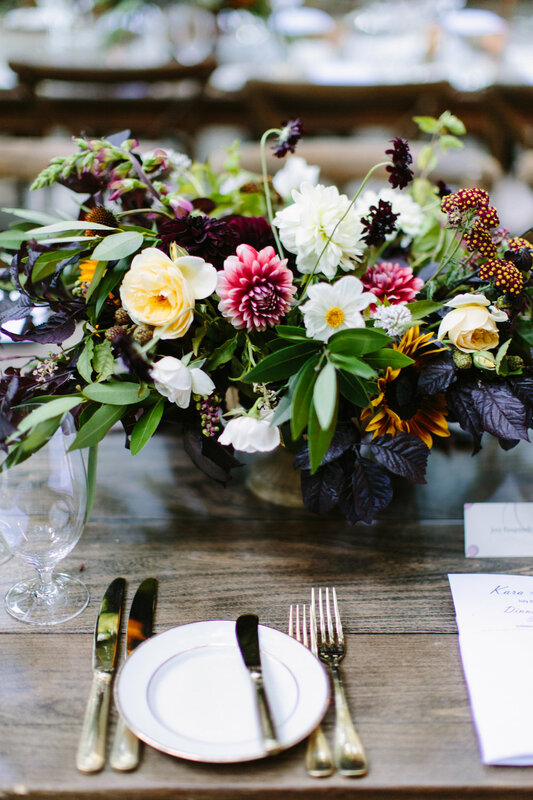 Kara's knew she wanted sunflowers in her arrangements, so we designed a beautiful and rich summery palette of deep burgundy and plum, vibrant yellow and rich greenery along with accents of ivory and white. It was wonderful to work with Courtney of LVL Weddings and Events as well as the talented Megan Clouse Photography.